I’d been warned by Carlos back in Temuco that Valdivia isn’t an easy place to drive. So it turned out. This is a city of complex one-way systems, multiple lanes and taxis that aren’t afraid to undertake you if you don’t know where you’re going. But that wasn’t the biggest problem. The main road from the Panamerican Highway into Valdivia, the S206, had roadworks for several kilometres. These particular roadworks, for which there was no signed diversion, involved several sets of contraflows controlled by stop/go boards, and most of the road had had its surface removed, even where there was no obvious work taking place. Once I was here, however, Valdivia is a pretty city. It’s larger than I was expecting and largely commercial. 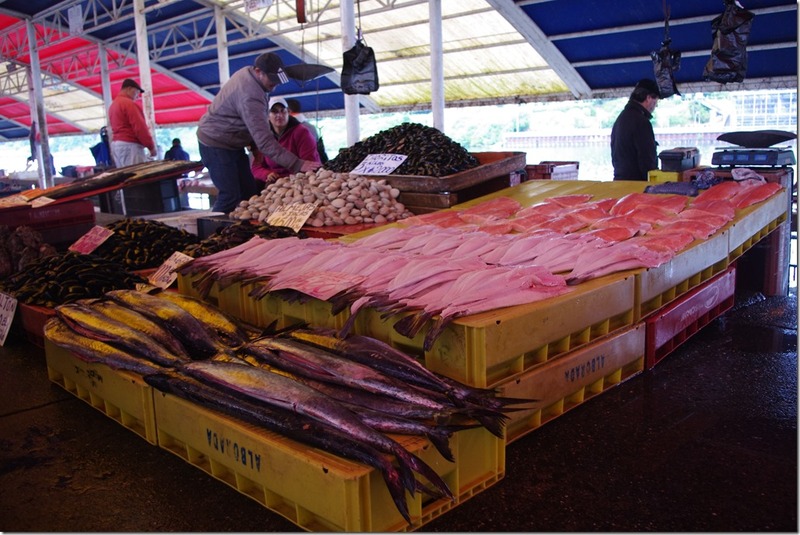 The river is the focus of the city, with the famous Feria fluvial (literally ‘River fair’, the daily fish market) being the centrepiece. This is a quite amazing place, with a huge variety of fish and other seafoods available, all looking completely fresh (though none of it seems to be refrigerated at all, not even with ice cubes, so I’m not sure how long it would stay that way). I didn’t buy any fish due to the fact I’ll be camping in the coming days and cooking it would have been difficult, but I did leave with 500g of beautiful looking, new season, strawberries. 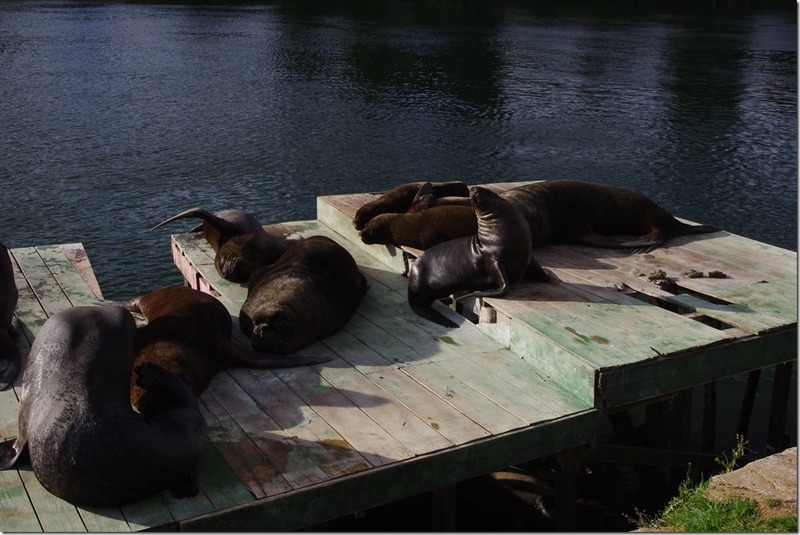 One attraction my guidebook hadn’t warned me about was a colony of sea lions that seem to have taken up residence by the river. These bellicose creatures garnered the attention of a number of tourists with their constant (and often loud) fights right in the heart of the city centre! 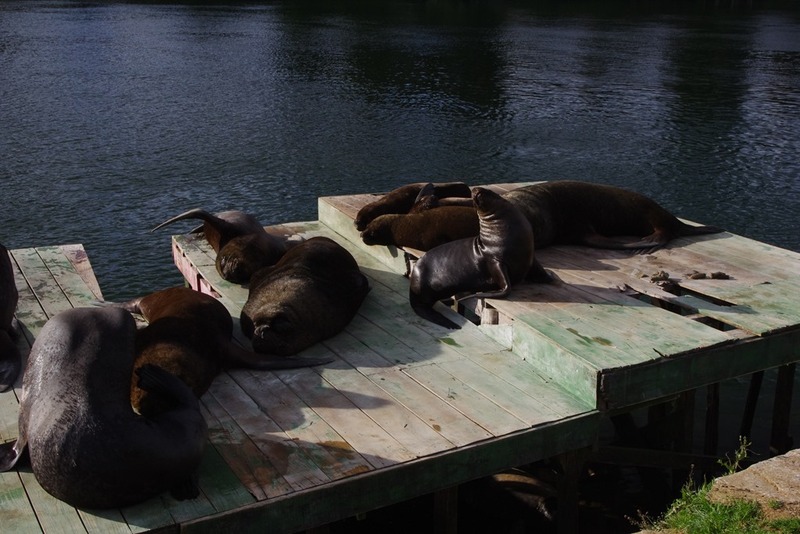 Valdivia was once a stronghold of the Spanish colony in Chile, and the city was defended by a series of forts guarding the entrance to the river leading to Valdivia. 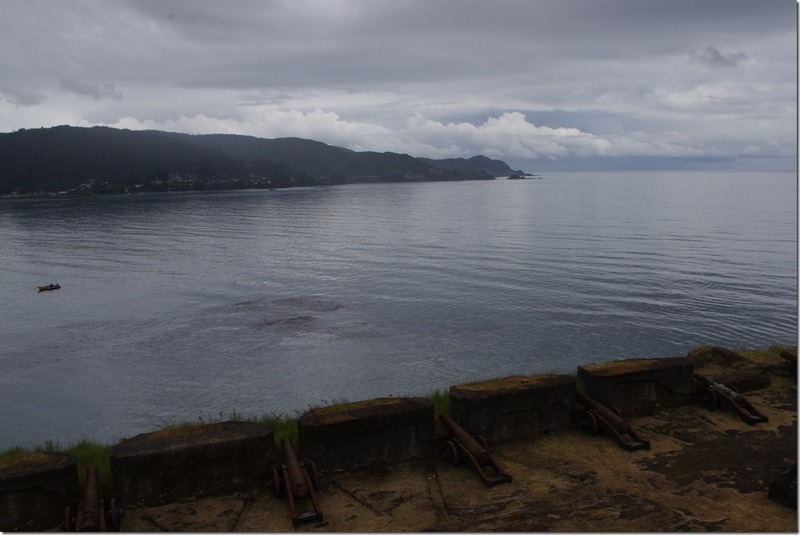 Most of these forts are no longer in place, but one, in the village of Niebla (about 20km west of Valdivia), is still standing. Since my hotel room wouldn’t be ready until 3pm, I made the detour to see the fort on my way to the city. The fort stands on a cliff right at the mouth of the estuary, looking out into the Pacific Ocean – a very picturesque spot, and it’s clear why this location was so impenetrable for the forces demanding Chilean Independence. 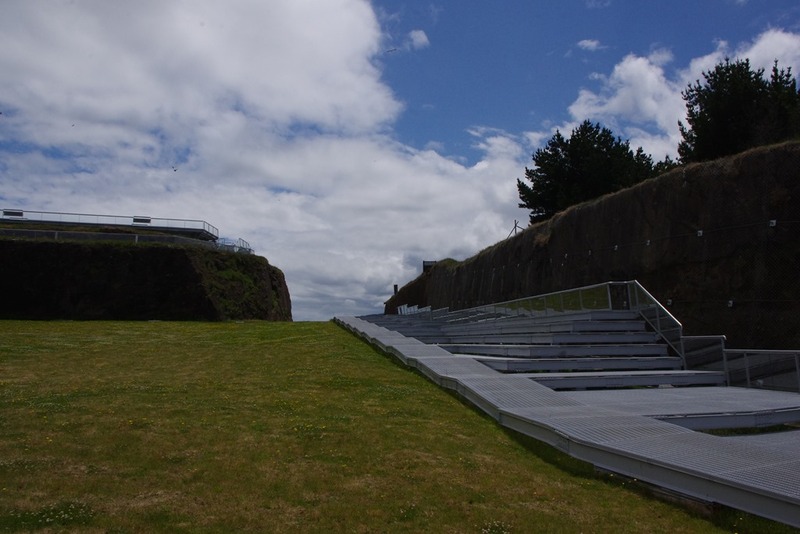 The only disappointment here is that, in a laudable attempt to improve wheelchair access to the site, the place has been covered in stainless steel ramps, which rather spoil the spot and make it hard to distinguish some of the original stonework which make up the fort. November 25, 2015 in chile.